Savor Colorado’s sunshine. 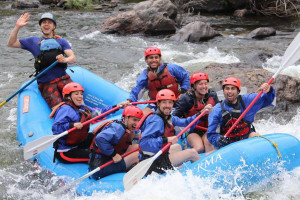 Go on an Estes Park White Water Rafting trip. Experience a calm ride through lush scenery, or an adrenaline rush through rapids! Choose your rafting adventure today. Offering guided whitewater rafting on the Cache La Poudre River or Clear Creek, both amazing waterways with unique rapids and beautiful scenery. We are Adventure. Appease your sense of adventure with a whitewater trip down the Poudre River. Your highly experienced guide will help you every paddle of the way. Located near Northern Colorado. Trained and certified guides, complimentary use of safety gear, in business almost 30 years. 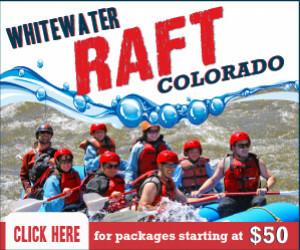 Family whitewater raft trips WITH TRANSPORTATION FROM ESTES PARK TO THE RIVER. Over 30 years right in Estes Park. Never been rafting? You're our specialty. Book it now! Steer through the white rapids and cool off from the summer heat on the Cache la Poudre River. Rapids range from class II-IV . That includes small, medium, and intense pitches, dips, and splashes. If you want to float at ease, take a tranquil ride on the Colorado River. At times you’ll encounter class II-III rapids. Both rivers are west of Estes Park, and skirt the western side of Rocky Mountain National Park. A guide will definitely help you on your water adventure! There are several well-established Estes Park raft tours, with fun and knowledgeable guides. Don’t miss out on your chance to raft a Colorado river! 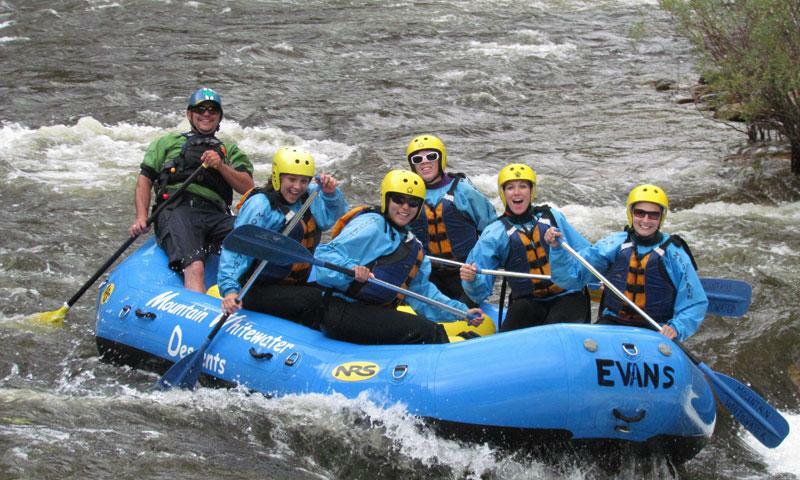 See what Estes Park rafting tours are available below.